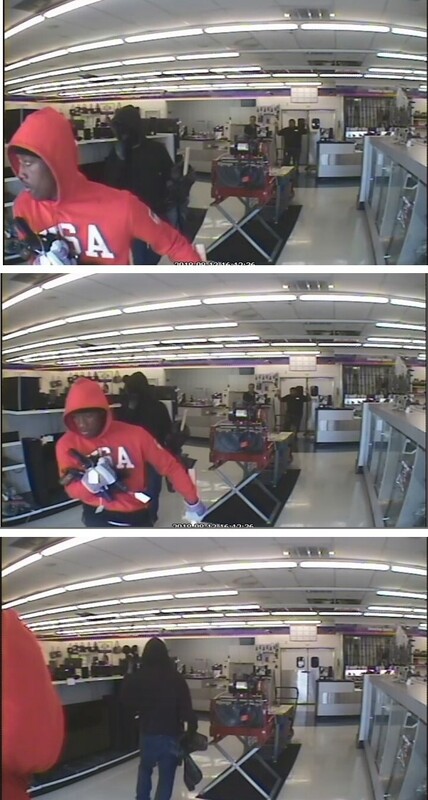 Austin, Texas – The Bureau of Alcohol, Tobacco, Firearms and Explosives, the National Shooting Sports Foundation (NSSF), the trade association for the firearms industry, and Austin Police Department have announced a reward of up to $4,000 for information leading to the arrest of suspects responsible for robbing Cash America Pawn, located at 501 W. Ben White Blvd., Austin, Texas 78704. On August 13, 2018, at approximately 3:59 pm, two black males entered Cash America Pawn while the store was open, wielding sledgehammers. Suspect one is described as mid 20’s, approximately 5’9”, clean shaven, wearing a red hoodie, dark pants, and black shoes and gloves. He was carrying a sledge hammer and black trash bag. Suspect two is described as mid 20’s, approximately 5’10”, wearing a black mask, black hoodie, dark pants, black Nike shoes, and gloves. He was carrying a sledge hammer and black trash bag. Suspect three remained outside and held the door open for the other suspects, is described as mid 20’s, wearing a black hoodie and mask. The suspects threatened the employee with a sledgehammer and then broke the display cases. The suspects stole five pistols and over $6,000 in jewelry. 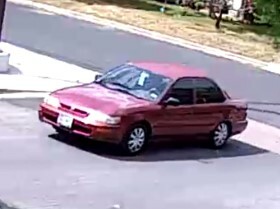 The suspects fled in an older model red 4-door sedan, possibly a Toyota. “ATF and Austin Police Department are working together to recover these firearms quickly and apprehend those responsible,” said ATF Houston Field Division Special Agent in Charge Fred Milanowski. Anyone with any information about this crime should contact 888-ATF-TIPS; your call may remain confidential. Anyone with knowledge of illegal firearms activity should contact ATF at 1-800-ATF-TIPS (1- 800-283-8477), ATFtips@atf.gov, or www.atf.gov/contact/atf-tips. Information about firearm thefts may also be reported to ATF via the anonymous mobile app Reportit®, which is available via the Apple App and Google Play stores, and at www.reportit.com. ATF is the lead federal law enforcement agency with jurisdiction involving firearms and violent crimes, and regulates the firearm industry. More information about ATF and its programs is available at www.atf.gov.